Vendula London – Quirky, Unique Handbags & Purses! 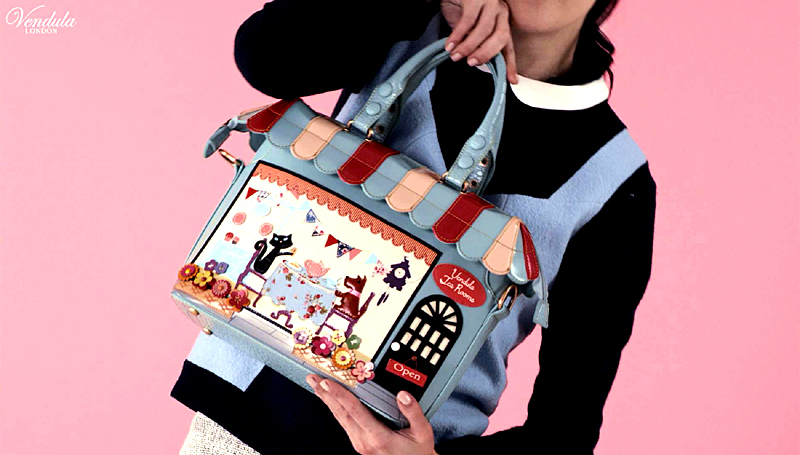 Vendula London is a small team of fashion passionate people who are producing funky and quirky bags and accessories guaranteed to make you smile! Vendula London Bags and Purses are luxurious, funky, and non-leather (making them especially suitable for vegetarians and vegans). They feature intricate applique designs, and revel in a reputation of being a product for individuals only. They like to call them ‘Style with fun’. Vendula London is a British company, founded in 2003, and have grown by word-of-mouth since then. Each bag and purse (except for their Pouch bag) acknowledges their British base by being fully lined in a fabric pattern featuring Big Ben, the London Eye, and other unique London architectural highlights. Know that pictures of Vendula London bags and purses never capture the complexity, depth, and beauty of the applique work. They are formidably detailed, and meticulously stitched, essentially each piece is a work of art! SEE THE COLLECTION OF THESE UNIQUE FASHION PIECES ONLY AT NEST & BURROW. WE’RE THE ONLY STOCKISTS OF VENDULA LONDON IN THE SOUTHERN HIGHLANDS.